If you have champagne taste, the“Bellissimo Collection” is for you! 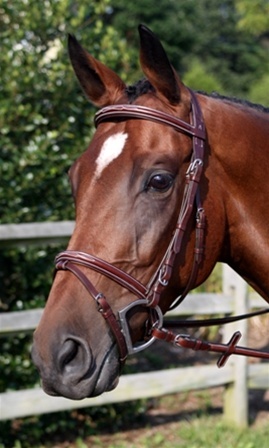 Exquisitely crafted from luxurious Italian Havana leather, these bridles feature a padded inlaid crown as well as fancy stitched padded and raised brow and noseband. 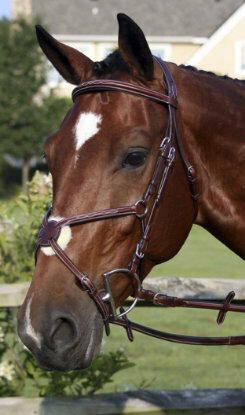 Accompanied by matching raised and fancy stitched reins , your horse will look like a fashionista! 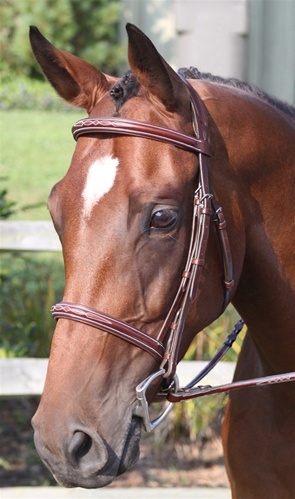 This bridle is truly a work of art and features a ½” cheeks with buckle ends, sewn in flash and matching buckle end soft grip reins. Oversize only.